The best way that I can describe seeing Weird Al live is that he puts on a show, not a concert. Weird Al has the ability to parody songs and engulf me into his performance that in any other instance I would not care to listen to the original. 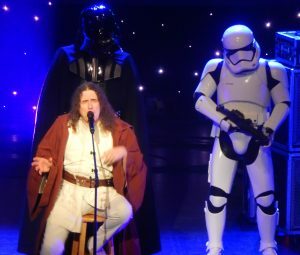 I can only describe his show as a comical musical journey filled with multiple hilarious costume changes and a very tight backing band that joins Weird Al with his non-stop energy on stage. This was my third time seeing him and each time I have been thoroughly entertained. 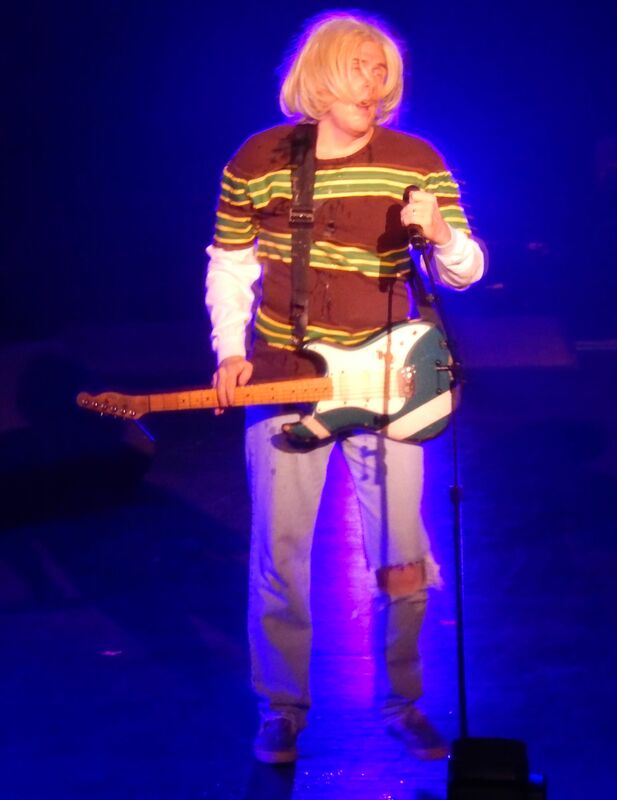 Being the metalhead that I am, I am not ashamed to admit just how much I have enjoyed his music over the years and going a step further that I actually prefer some of Weird Al’s versions to the originals, especially ‘Smells Like Nirvana’, the parody of Nirvana’s original ‘Smells Like Teen Spirit’. I captured Weird Al in his Curt Cobain outfit during that song and with the lighting behind him he has an almost heavenly glow around him. His parodies of hit songs are beyond catchy and even now, weeks after the show I find myself listening daily to his ‘White and Nerdy’ version of “Chamillionaire – Ridin’ (Dirty)”. 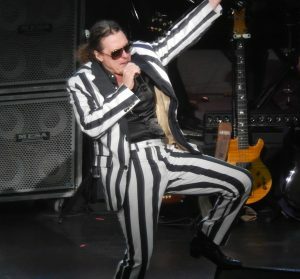 He performs most of his songs in their entirety but in an effort to fit in as many as possible from his vast discography Weird Al throws in a couple of medleys which he and his band have perfected over the years. He has so many awesome parody songs and his own original music that is the only way he can even try to fit in every fan’s favorite that they came to hear. 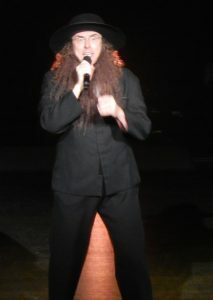 For most songs the audience knew his parodies word for word and were singing along which adds to the overall experience. 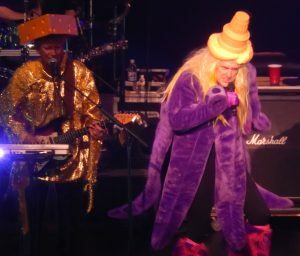 In between songs (the costume changes), video displays show funny mock interviews from “Al TV” in montages that flow right into the next song and hilarious busts of laughter erupt from the audience as Weird Al and the band appear in the next costume arrangement. His parodies cover just about every big hit on the music charts since the early 80s and his music is not only fun but educational as he tutors while singing about proper word usage in the song ‘Word Crimes’, a parody of ‘Blurred Lines’ by Robin Thicke. The costume changes are one of my favorite parts as it really sets the tone for the song and the videos playing alongside the stage, and Weird Al is very adept transforming into each character along the way. 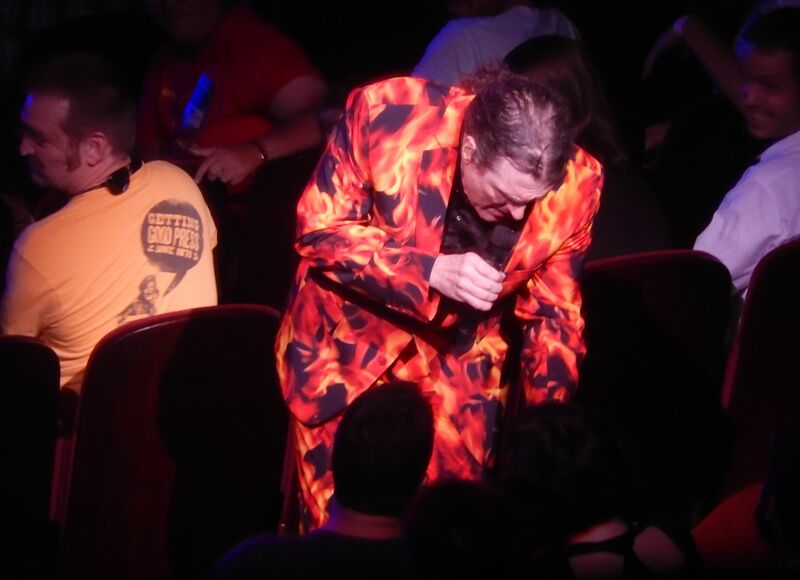 It was an audience of all ages as Weird Al’s music is clean and family friendly. He and the band engage the audience throughout the entire show with their antics, costumes, facial expressions, musical and vocal abilities, and Weird Al takes a couple of roaming trips through the crowd to engage unsuspecting audience members. Weird Al is also famous for closing out his shows dressed as Obi-Wan Kenobi accompanied by Darth Vader and a group of Stormtroopers on stage who dance as he sings ‘The Saga Begins’ to the tune of ‘American Pie’ by Don McLean we hear the story of “…this here Anakin guy”. Now That’s What I Call Polka!